In an exclusive London club, a conspiracy is launched that threatens the very heart of government. When a renowned society couple with fascist leanings are found brutally murdered, a maverick Cambridge professor is drawn into a world of espionage he knows only from history books. The deeper Thomas Wilde delves, the more he finds to link the murders with the girl with the silver syringe - and even more worryingly to the scandal surrounding the Abdication . . . 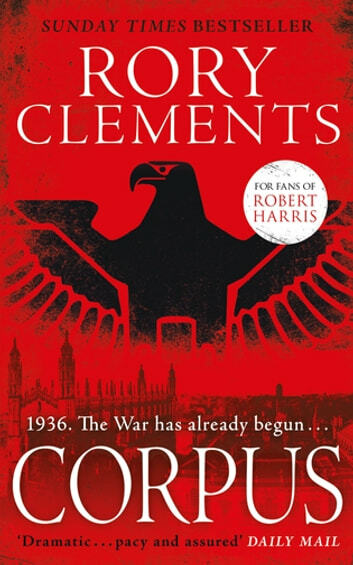 I was keen to read Rory Clements again, and was pleased to see it set at an interesting time. The plot was good with well developed charactors. It was a great read and I will continue to read his titles. Well written book. Historically interesting. Just as good as the Shakespear series. Looking forward to the next in the series. This was a thrilling read. I found it difficult to put down. I have thoroughly enjoyed this reading. It has a good pace and has a interesting plot as well. I look forward to reading the next in the series.